When it comes to manifesting, a principal I teach is Holding on Loosely. This means being clear on what you want and why you want it, but not being so obsessed with and attached to the manifestation that you are in a frantic/freaked out/doubt filled energetic state. You don’t want to suffocate the life out of your desire by worrying about how/when you will get what you want. I teach my students to stay in a place of confident expectation — knowing that they will receive what they desire or something better — and releasing the idea that it has to come a certain way. The ‘how’ is not your responsibility. We have to release the need to know exactly how it will happen — instead exercising our FAITH that it will come. That’s why I love this image by, Money Mentality Makeover student Guri Bigham. She so beautiful breaks down what is YOUR responsibility when it comes to manifesting and what is the responsibility of the Universe. WHO: You! You are a powerful co-creator! You are capable of creating/manifesting anything you desire. You are worthy. Your desires are your birth-right. They were placed in your heart for you to walk out while on this planet. WHAT: Whatever the eff you want! You decide. The key component is being clear on your desires/telling yourself the truth. Not holding back when it comes to admitting to yourself what you truly desire. If you could have anything — what would that be? WHERE: Where ever the eff you want. You are magnetic no matter where you are. However: I have had experiences of feeling led to certain places where certain manifestation came to pass. Your affirmation: I am always at the right place at the right time doing the right thing. WHEN: This is one the only tricky one. I think it’s fine to set deadlines for your manifestations. The caveat is this: If it doesn’t happen by the date you requested… you keep believing. You don’t give up if your date passes and your manifestation hasn’t yet taken form. For me the ‘when’ is the moment is that all the energy has added up and the manifestation overflows into our lives. I know it is inevitable up until the moment it flows in. WHY: 100% on YOU to be clear on this. You have to be clear on why you want what you want. And how how what you want is of high service. Meaning — How will getting what you want support you, support others, and have a positive effect on the entire world. Make sure you can answer those questions. HOW: This is primarily the responsibility of the Universe. You don’t have to know how your manifestation will come to pass. You just have to know that it will. Your part: Ask for guidance. Be willing to do your part/take your action as it shows up. Your responsibility: Take the inspired action as it is given. I want you to delight in this process, have fun with it, and see what happens when you truly believe that you are worthy and can have what you desire. I know you may be desiring more information/guidance/understanding on how to manifest your desires. If you like learning from me, I have something for you. I have something for you. This training bundle is one of my favorite things I have ever done in my life. … there was an energy that carried us and elevated us. The training was ridiculous high vibe, the content that was coming through was deeply inspired and the results people got were crazy. I know many of you were desiring to do Money Mentality Makeover with me. With this options, you get to start now at a lower price and commitment level + receive $197 off MMM during the next enrollment period. 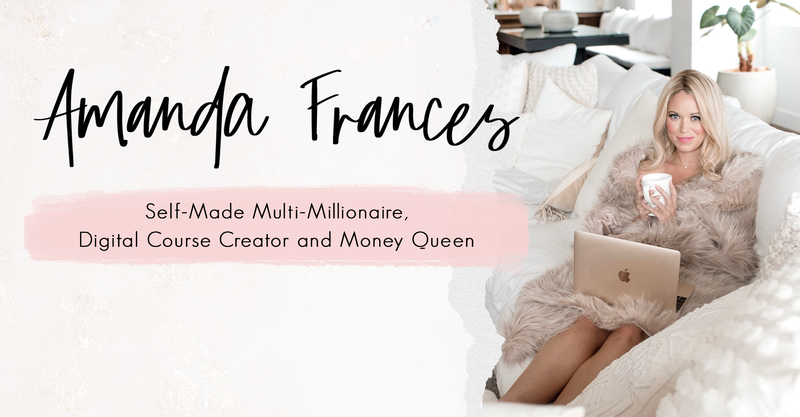 Get the Drop the Mother F*cking Money Struggle Video Bundle — All the Details: I’m Ready to Drop the Struggle! What do you think about today’s tips?! Think I’m crazy? Think it can’t be that simple/easy?